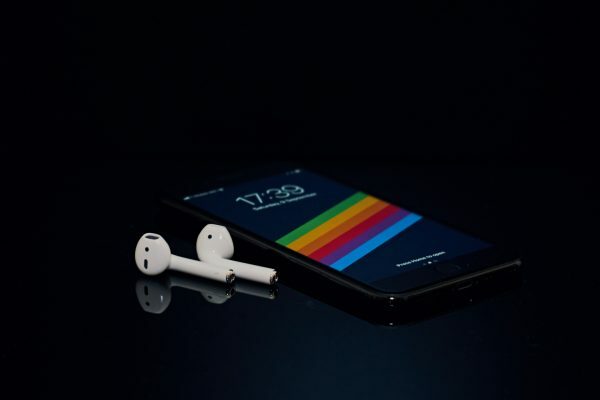 These days resume like advertising of yourself. 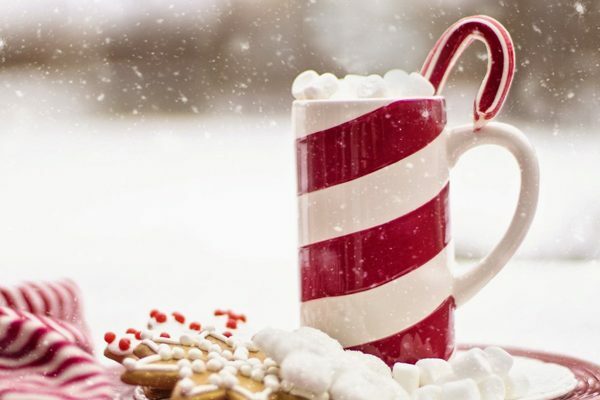 You show off your personality, achievements, expertise, and education to impress a potential employer and get a career of your dream. 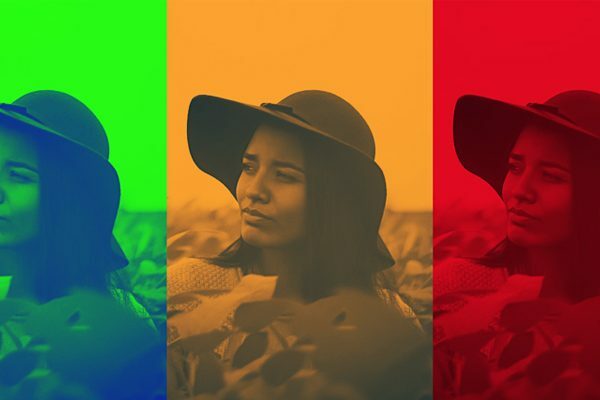 Even if you have lots of experience and things to tell about yourself, it’s quite tricky to put it all together. 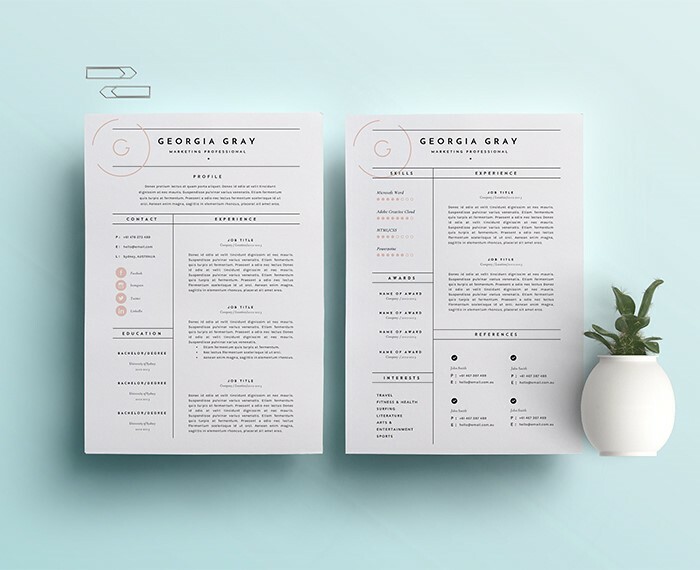 A resume template will save your time and become a high starting point. 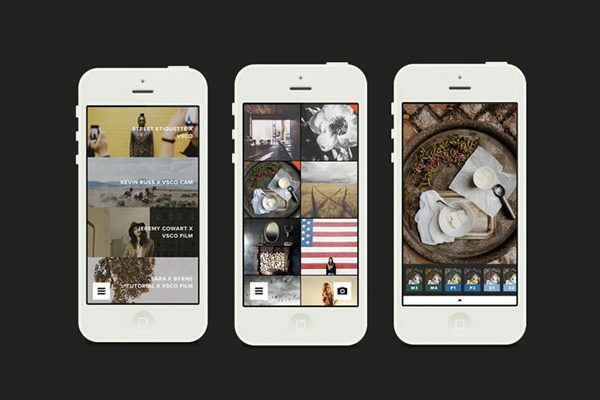 Just insert your text and picture in a specific field and ‘voila’ – you are done! 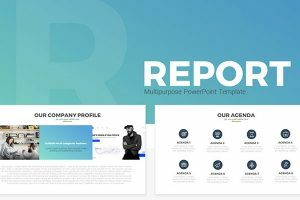 In this list, you are going to find 25 professional resume templates suitable for any industry and position. 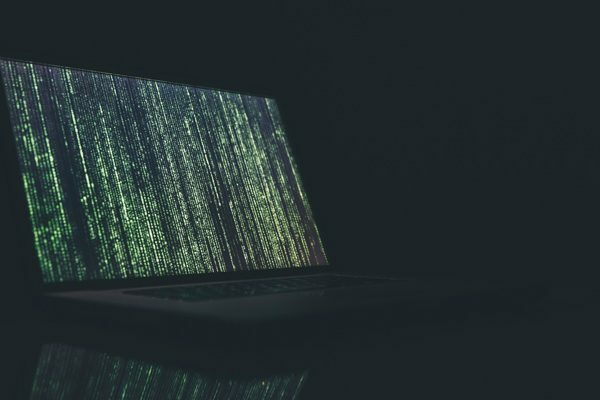 Almost all of them comes in multiple file formats, for example, Photoshop and Word, so you can choose which editor is more comfortable for you. 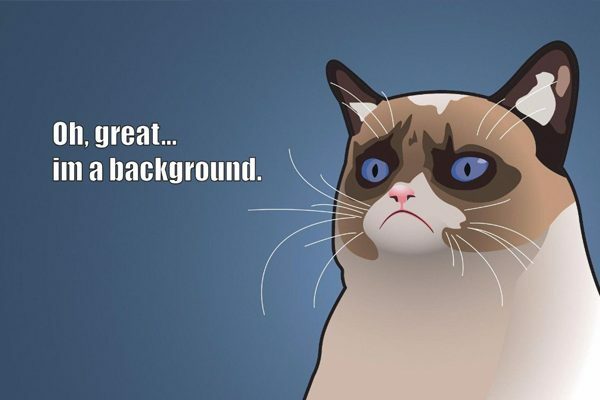 Remember that you can edit fonts, text, size, shapes, images, and sections on these resumes. 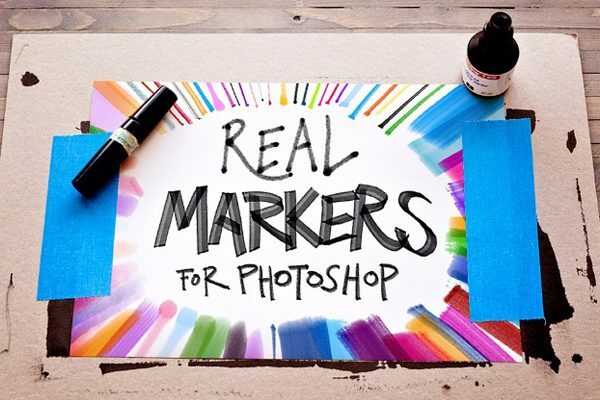 It means you download a template and get your own resume in a few clicks of a mouse. 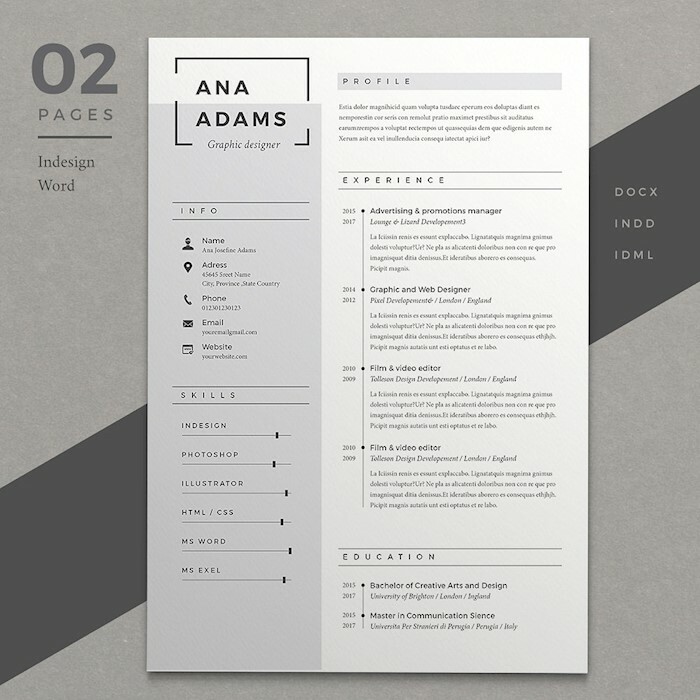 Here is a stylish resume template in two pages with covering letter and references. Make sure to click “enable editing” button and install the fonts to change the template. 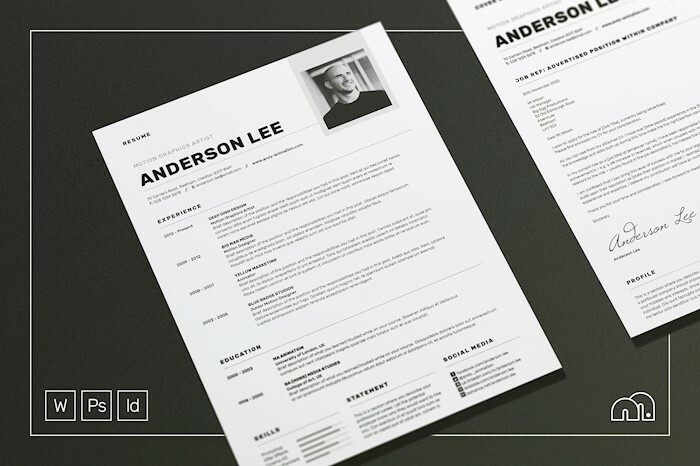 Here is a modern male resume template with two columns and name in shape on top. 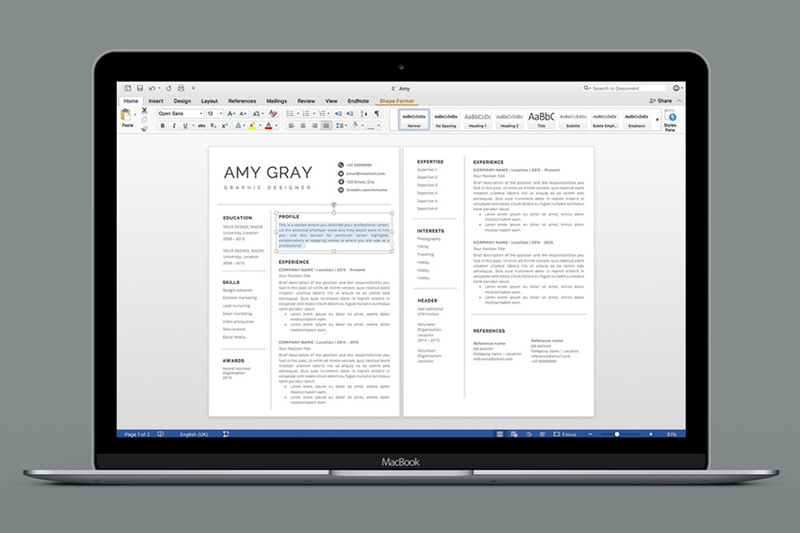 You can change any fonts and colors and get a completely new look at the CV. 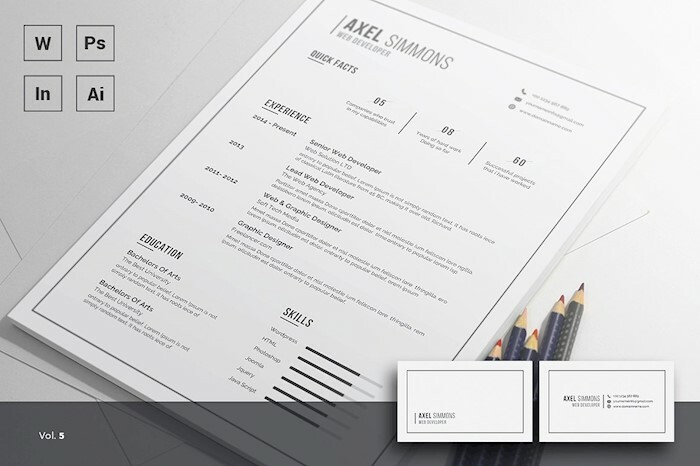 Check out this clean, professional resume template which will suit any industry and position. It has cleanly separated fields for experience, education, name, and profile info. 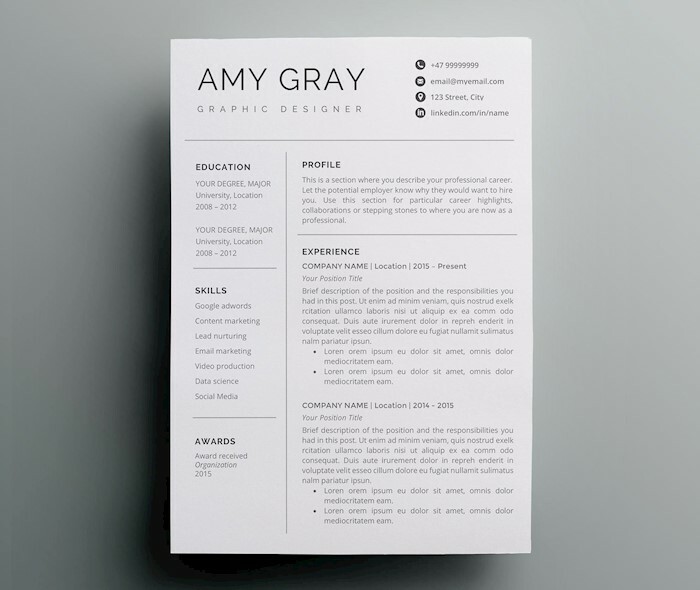 Here is an elegant, simple CV template which is easy to use and edit. 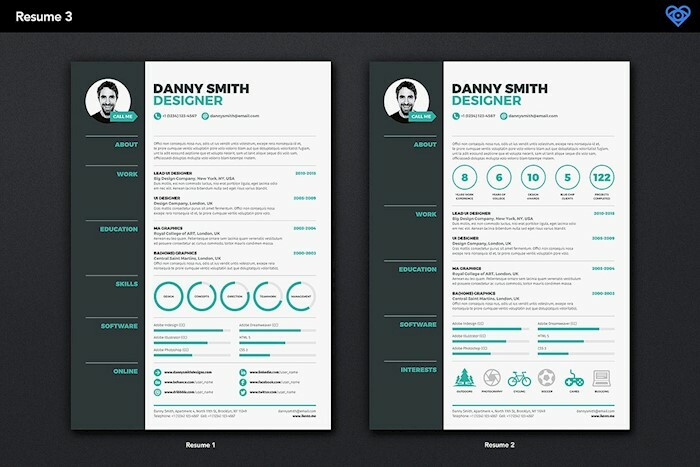 You can download the resume template in the best suitable format for you: InDesign, Photoshop, Illustrator, and Word. 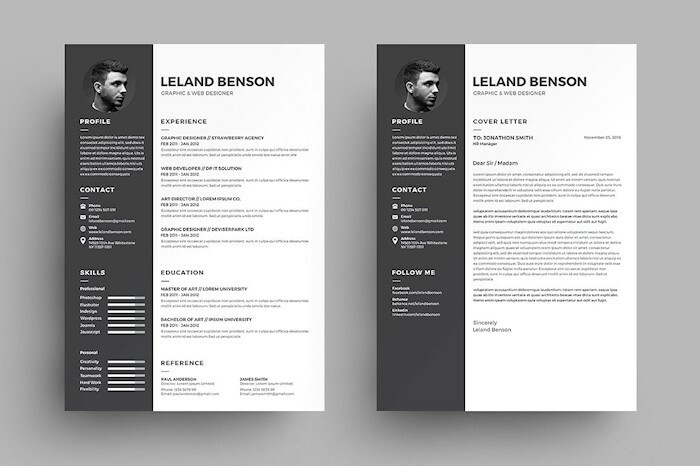 This is a professional resume template in A4 paper size. 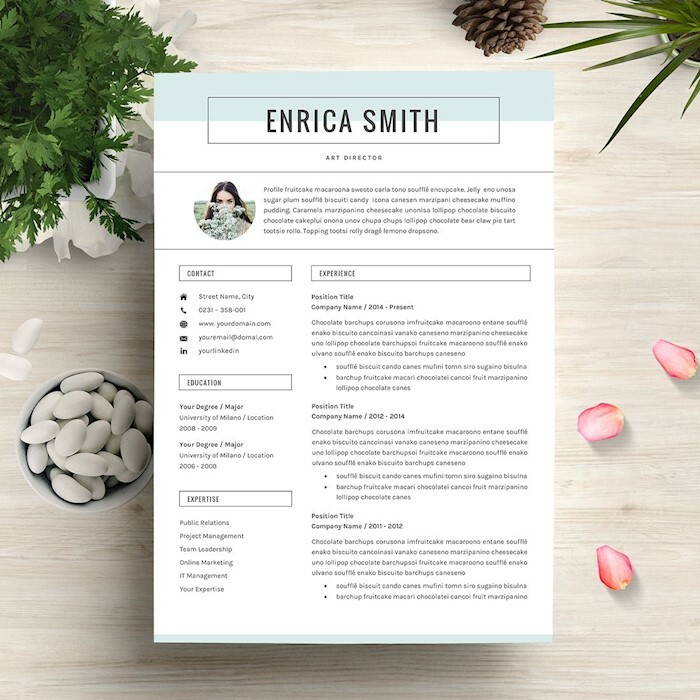 It’s print-ready resume with free fonts which you can download and use. 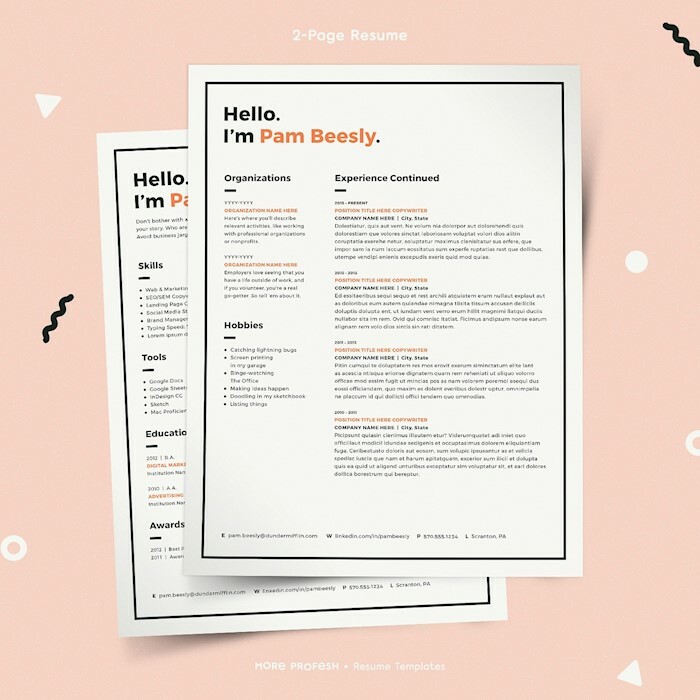 Look at this gorgeous CV template kit including 2-page resume, references, cover letter, and links to free fonts. 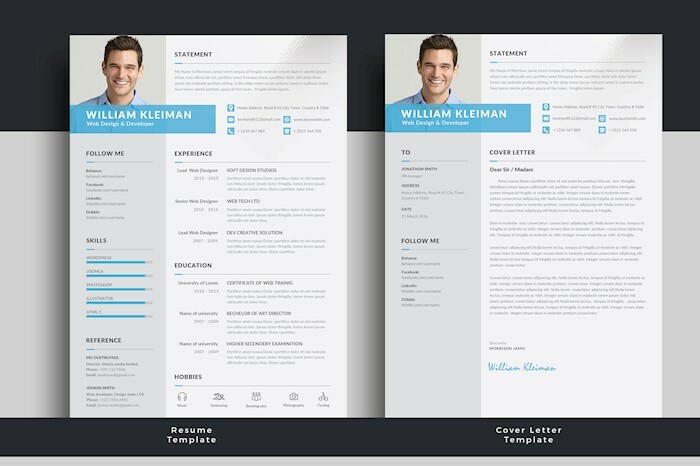 The CV layout has a frame with all necessary fields in it. 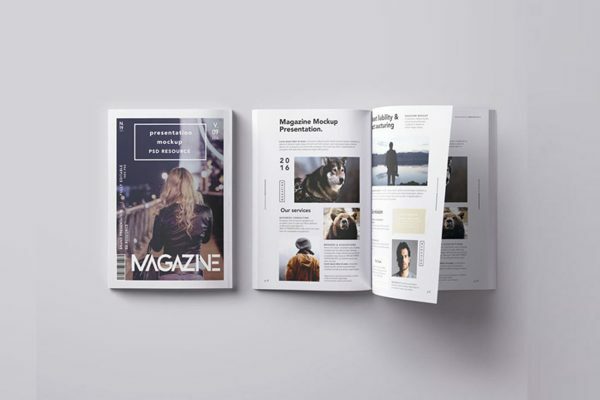 The subheadings are made in orange color for contrast. 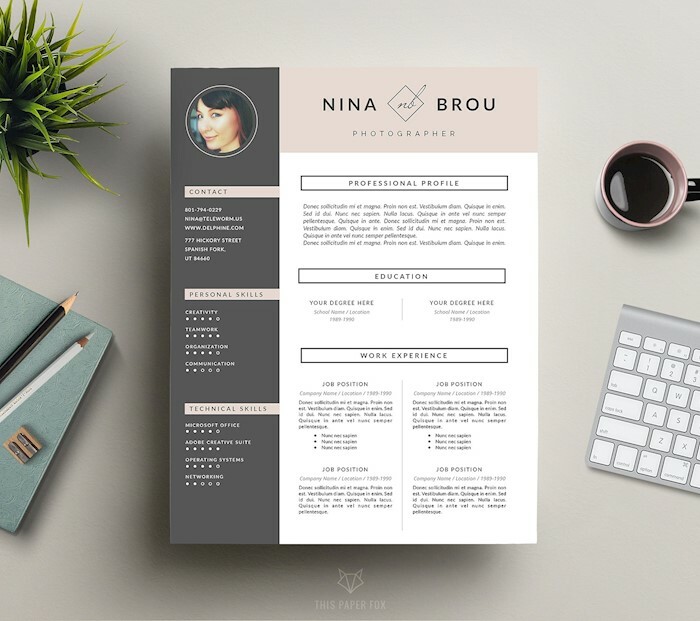 This resume template will be a perfect choice when it comes to the web designer or a creative position. 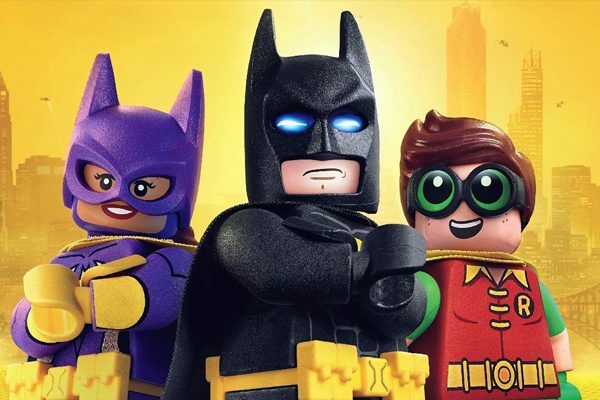 It has skills charts. 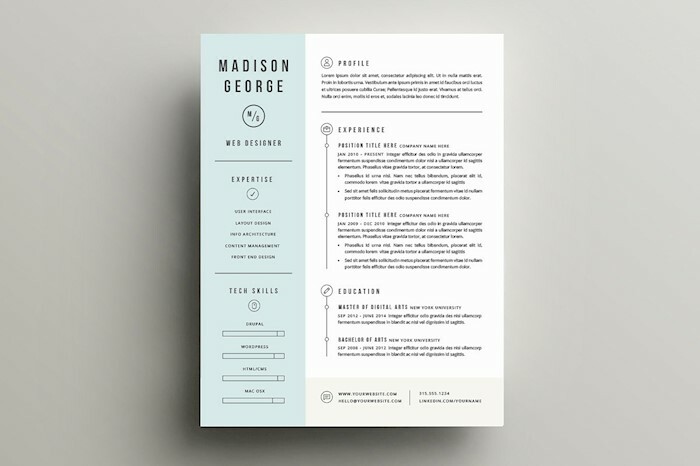 You can get the resume in any of following formats: Adobe Indesign (INDD), Adobe Photoshop (PSD), Adobe Illustrator (AI), and Microsoft Word (DOCX). 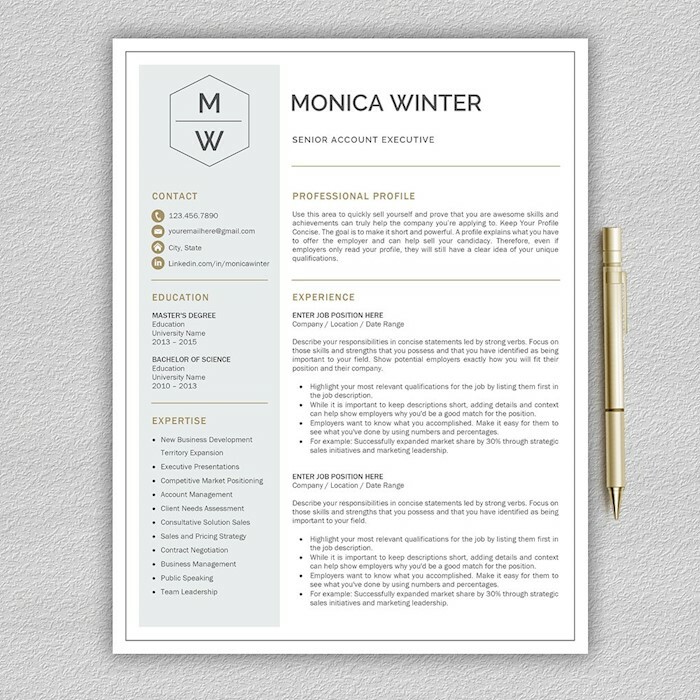 Tell your potential employer about your experience, education, skills, and expertise using this resume sample. It goes in beige and black color to fir both male and female. 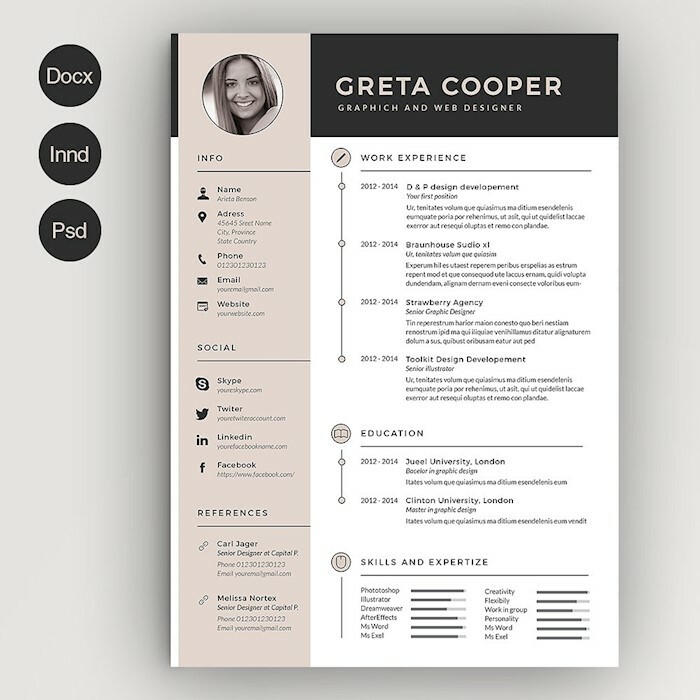 Get potential HR manager notice your resume over anybody else with an eye-catching design. 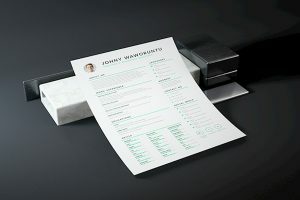 Look at this modern minimalist resume with a monochrome picture and cursive typography for your name. 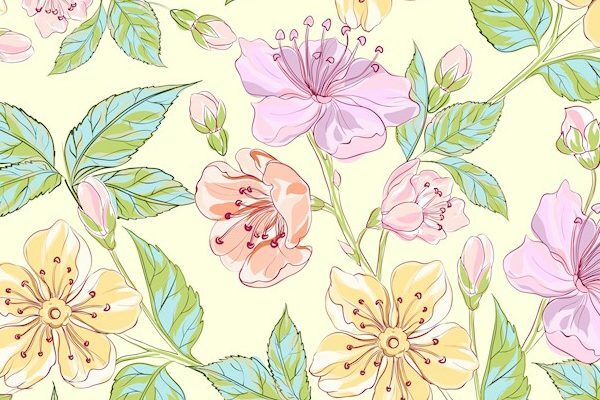 It uses simple geometric shapes in pink and gray to pay attention. 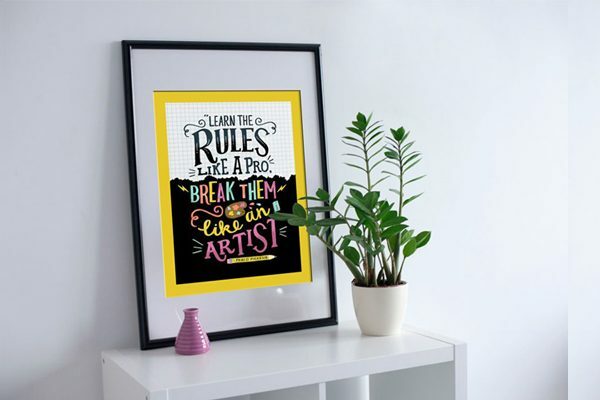 The pop of colors makes a viewer to notice the resume header and your name. 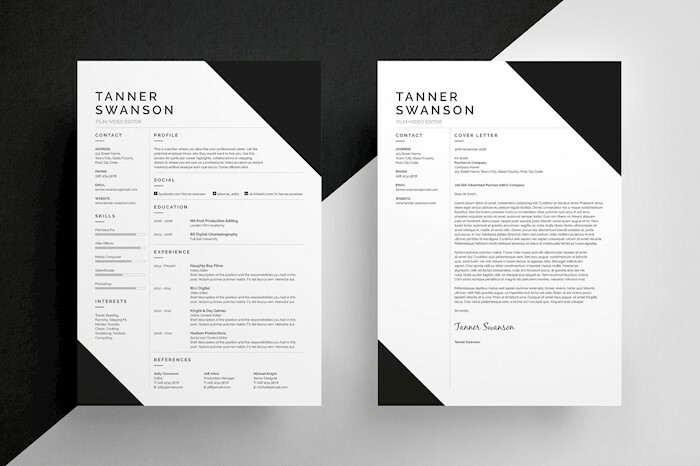 Look at this gorgeous professional resume with triangles on the corner of the page. 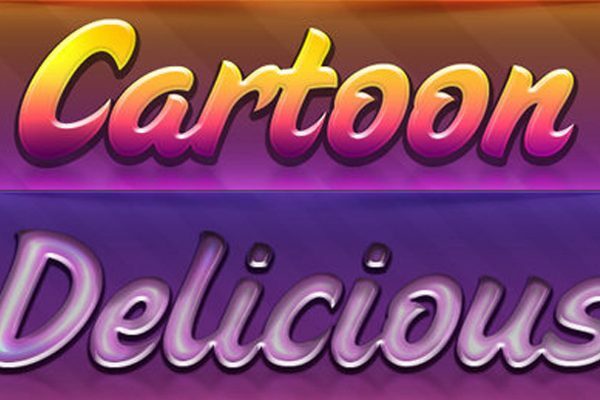 Change colors, fonts, shapes, text, and bullet points to your taste. 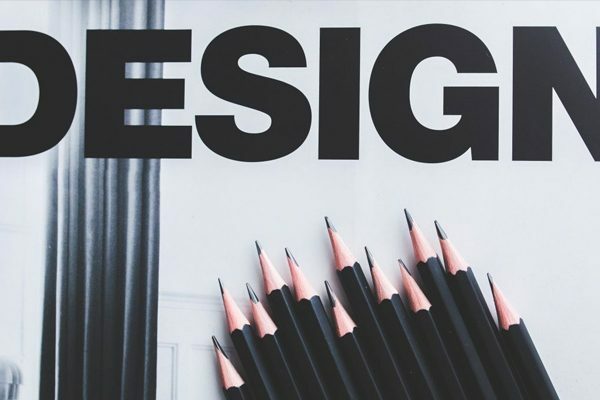 With this list, you can come up with comfortable easy-to-edit resume in a minute. 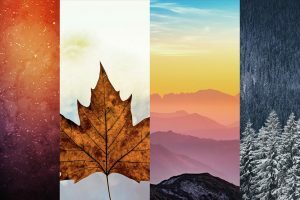 Choose a resume template from the collection and with a few clicks of a mouse, and random modifications make it unique. 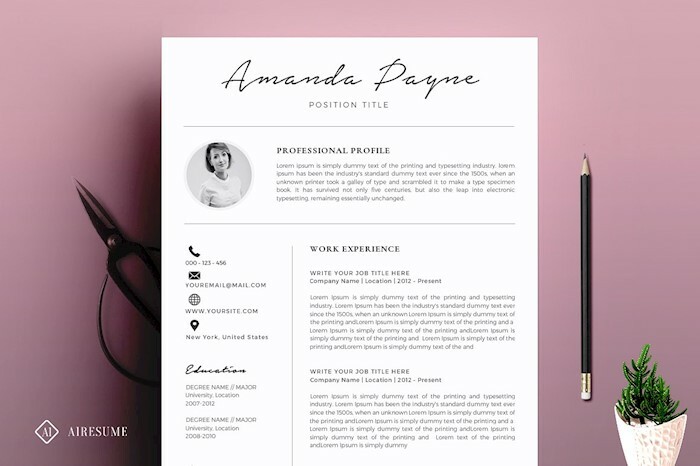 This feminine girly resume template is designed in pink and gray colors and separated into two columns. 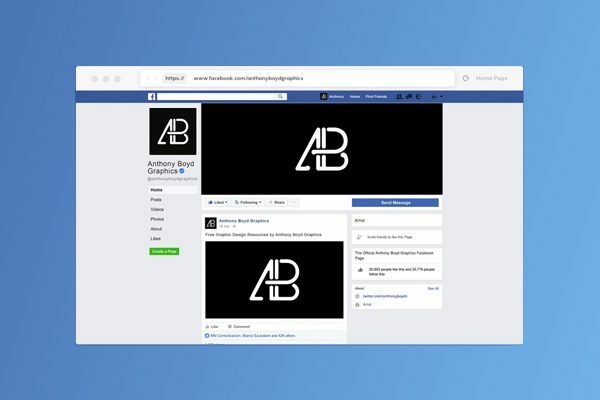 A picture is located on the top in a circle along with a personal logo and a name. 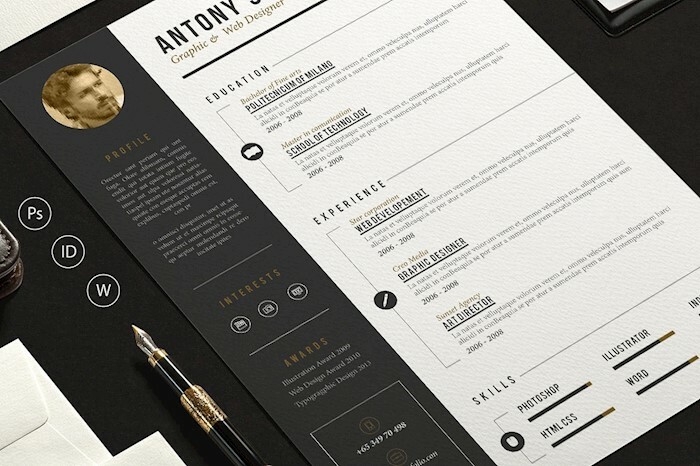 Here is a basic, elegant resume template with a profile, education, experience, expertise, and awards. 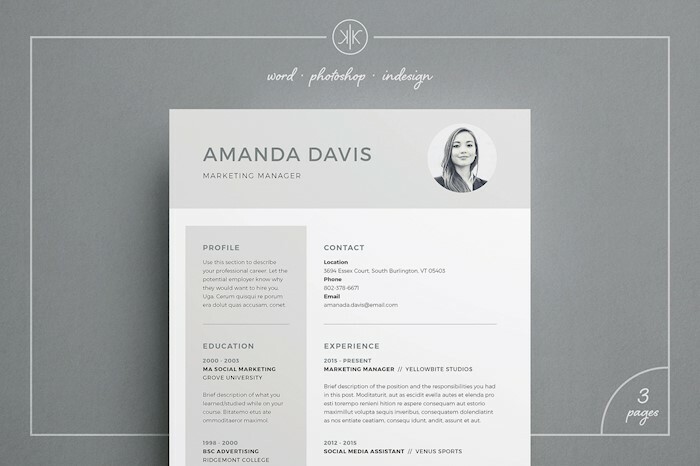 Experiment with shapes, fonts, and colors before printing the resume or sending it via email. 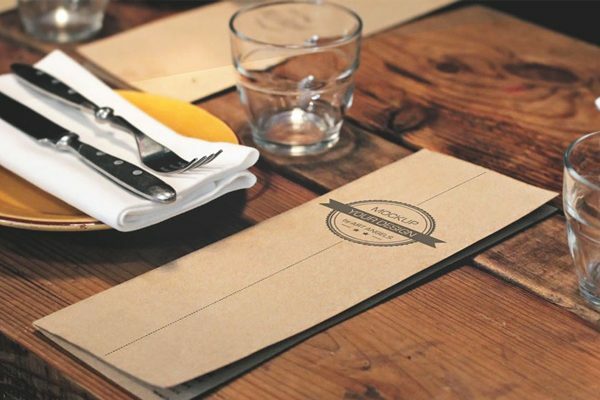 Resumes are created not only to hold your achievements but to impress a potential employer. 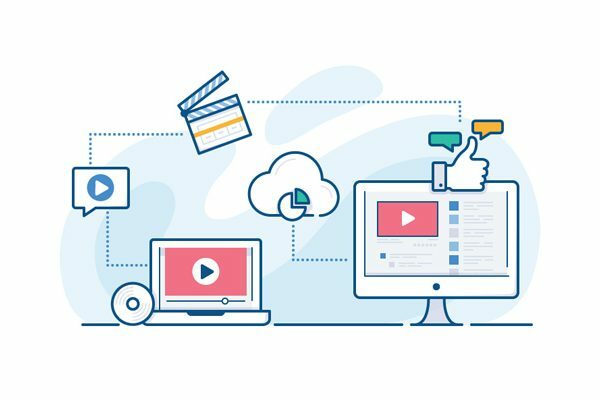 It features two columns, a picture in a circle, individual fields for experience and education, and stylish small icons. 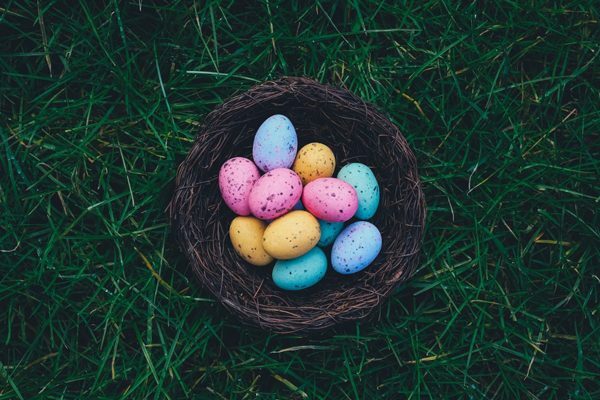 Make a difference with well-structured impressive resume. 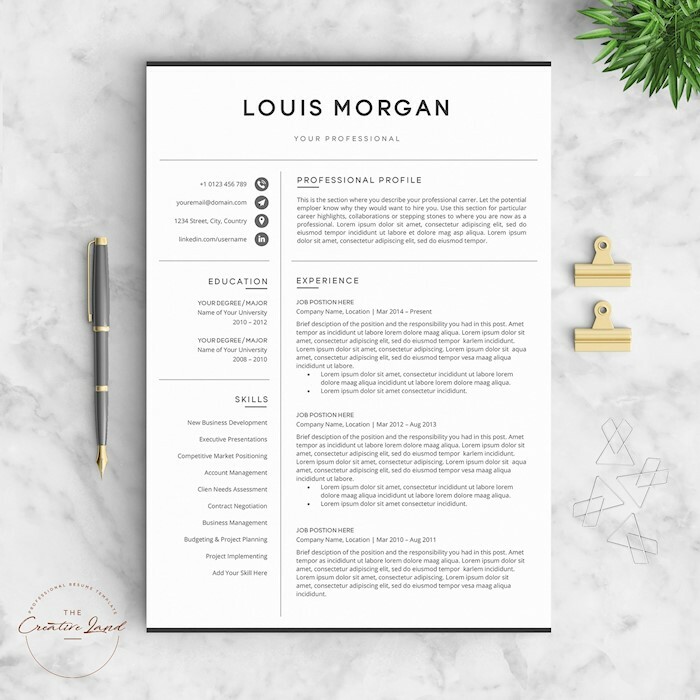 This CV template can help you to show off your personality to your future boss and convince them to choose you over other candidates. 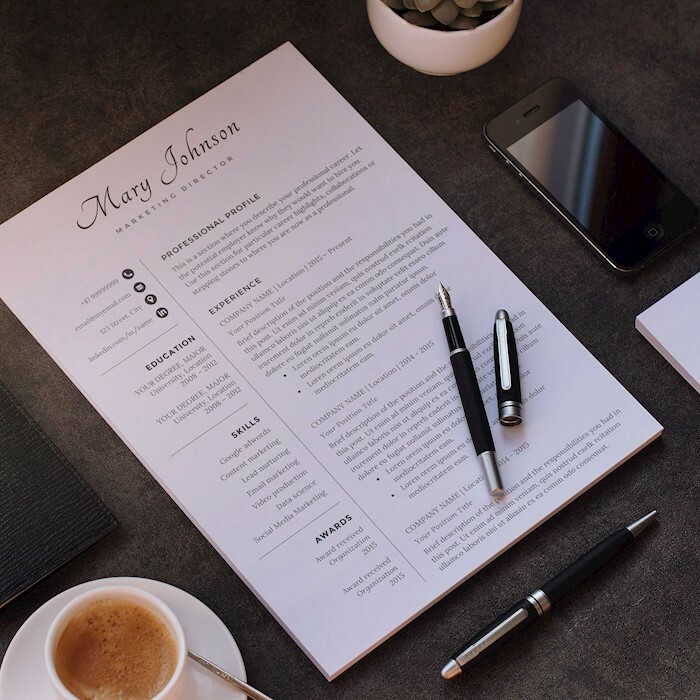 Show yourself as an organized and successful person by sending a fantastic resume to your employer. 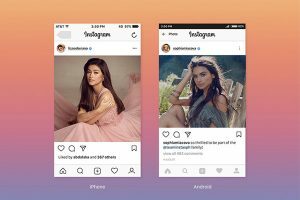 But first, create it using this minimalist template. 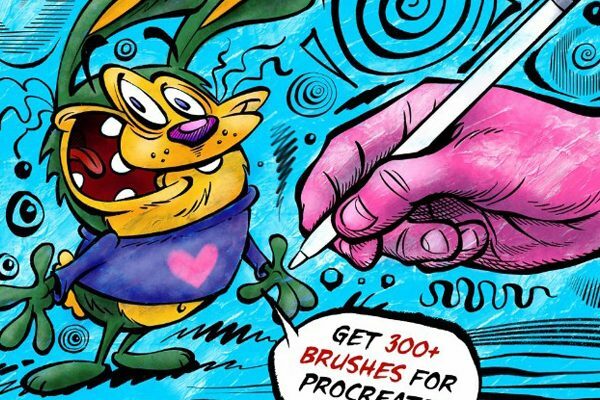 It goes in multiple formats, just choose which one you need. 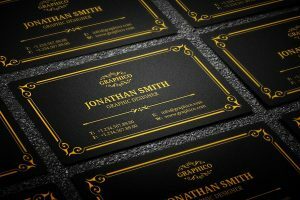 The light gray header gives a corporate feel, but simple fonts and formatting make a professional impression. 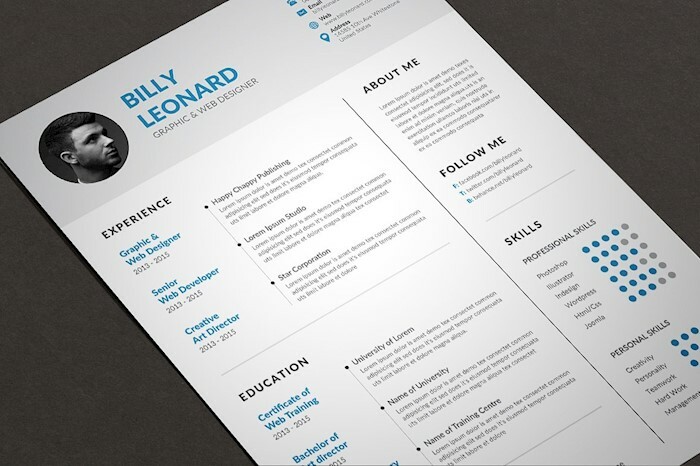 This resume template will help you get a career of your dream. 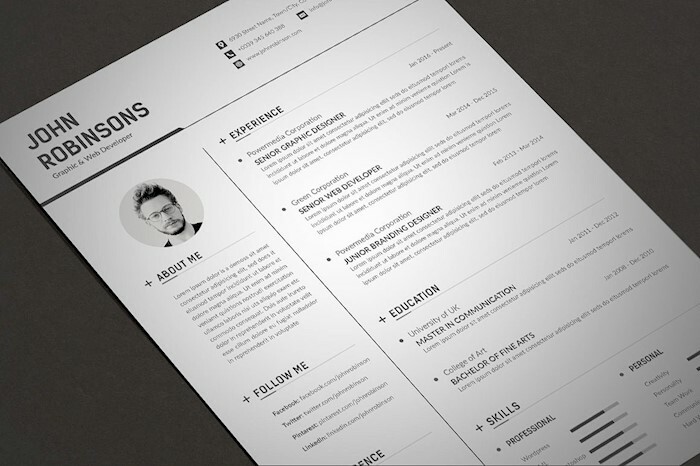 Stand out on your next job application with this simple yet powerful resume template. 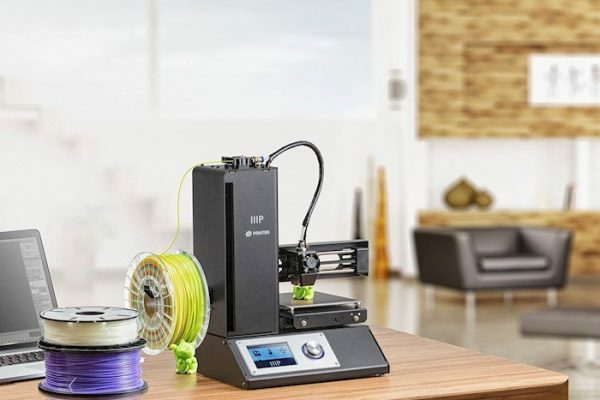 It is designed with all necessary details in mind. Here is a professional CV template with personal logo, timeline telling about your education and experience, profile on top, and charts to show your skills. 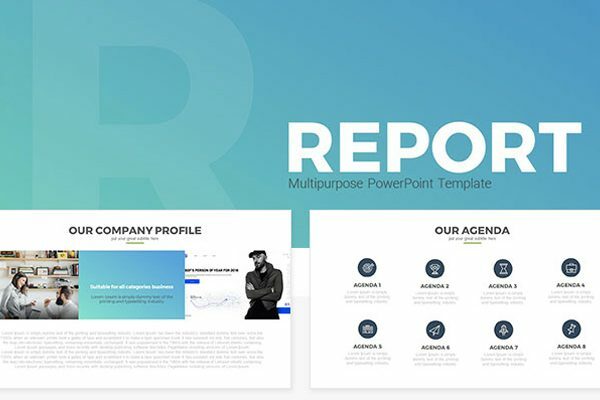 You can edit any part of the template, change text, colors, and fonts. 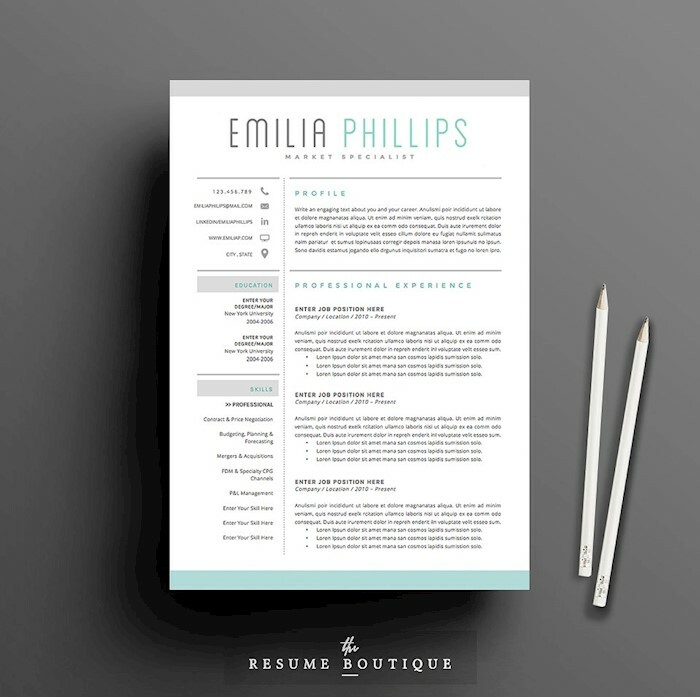 Here is a minimalist resume template with a cursive heading on top with your name. 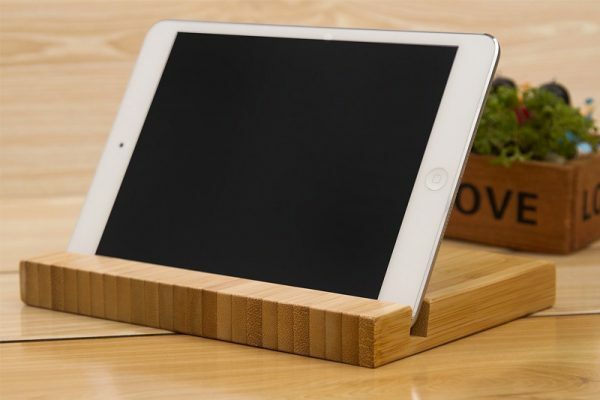 This is an ideal solution for any kind of position, from a school teacher to a business manager. 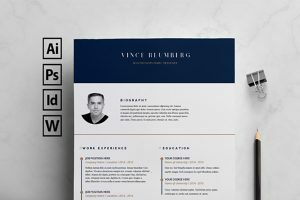 This resume package called ‘Aqua’ makes use of unique blue color. 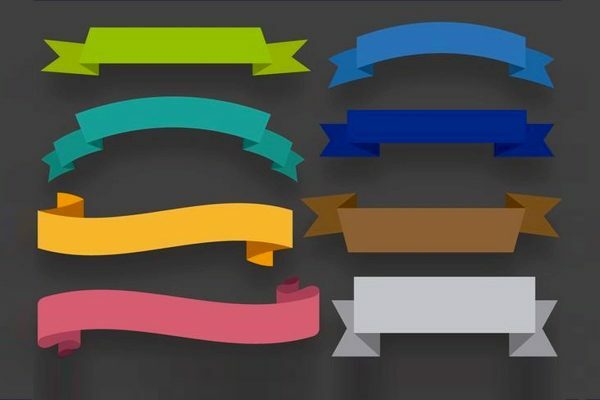 The key is to have your name and titles stand out from the page. 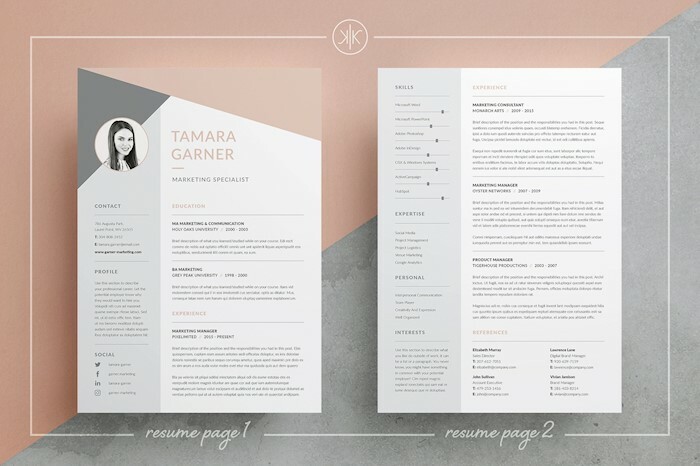 Check out this modern CV template with simple lines which separate different sections of the resume. 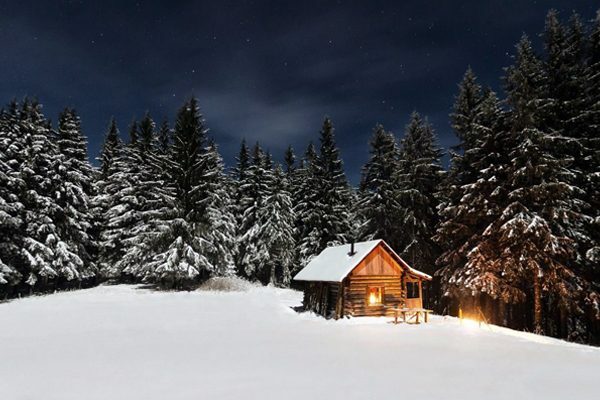 The line on top adds an elegant touch to a whole layout. This resume consists of two columns. 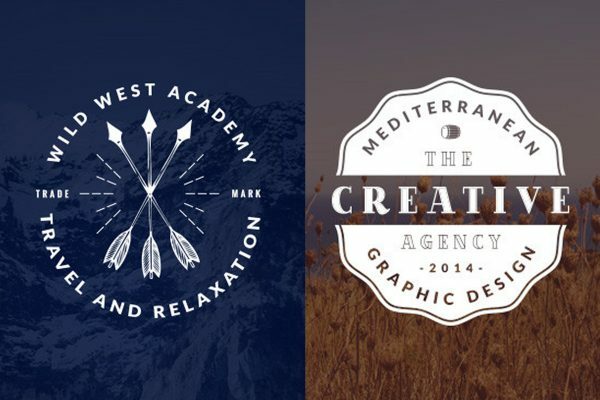 The blue one features your name, logo, expertise, and skills. Profile and education are located on the white bigger part of the page. 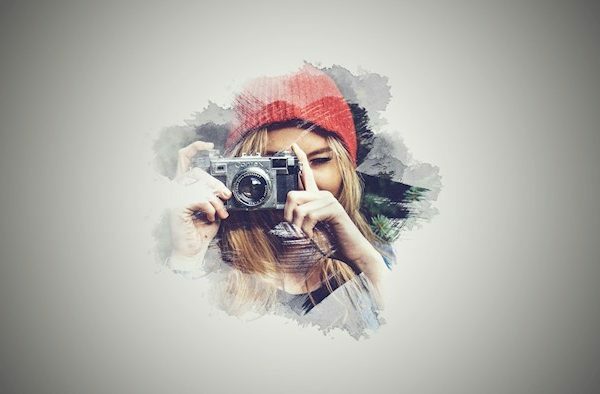 You can edit anything you like. 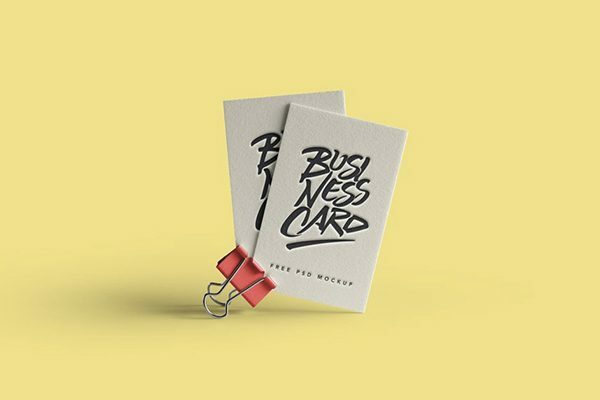 Do you need a corporate resume which looks professional уне reflects your personality? 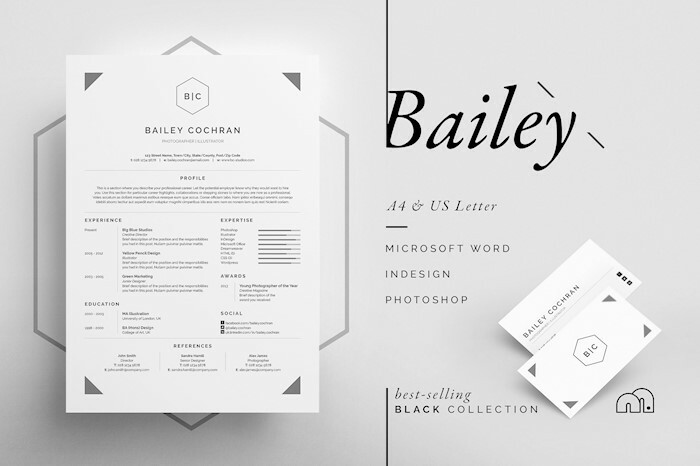 Take a look at this clean, monochromatic resume. 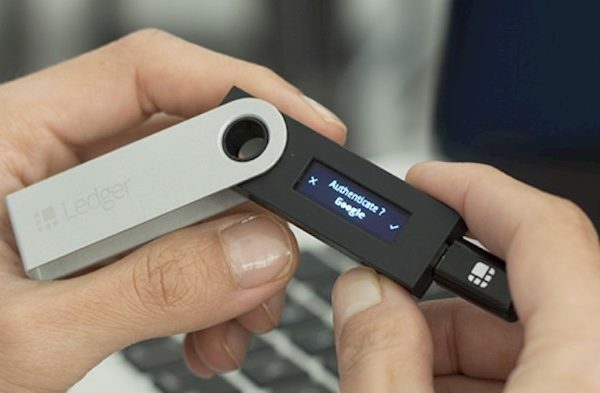 It has a big title with a name on top and a space for your black and white picture.